The Wave Type 1 glass door collection presents the perfect combination of design and function. This glass door design adds a personal touch while, at the same time, serves as a visual indication to avoid banging into the closed door. With its minimalist design of basic essentials, the Wave Type 1 internal glass door is committed to a contemporary interior. The Wave Type 1 frosted glass door, with its minimalist design, communicates vitality by inviting more light into a room. The V-groove lines on a clear surface allow light to permeate an area yet separating it without being intrusive. A crystal clear line on an opaque glass is a suitable finish where privacy is required. Glass doors have a polished look and they promote the idea of space expansion. Also, they are flexible in terms of design, and they can come as clear and frosted glass internal doors, which influences the level of intimacy in the room, as well as the amount of light, let in the room. Having enough light in your room means reducing the use of artificial light, lowering energy costs and being environmentally friendly. Both clear and frosted glass doors create a visually more attractive and practical space thanks to the fact that there are fewer shadows and darker areas, which maximises the use of your room efficiently. Also, for rooms that require more privacy such as bathrooms, if you want to have a glass door, you can opt for frosted glass patterns, which still allows light into the room, but it gives the intimacy needed. Moreover, clear glass doors and frosted glass internal doors are easy to clean, which makes them suitable for both businesses and homes. With just an occasional wipe with a cloth and glass cleaner, your glass door will look clean and attractive. Also, you can have your glass door in different types, such as sliding, which can serve both as a door and wall. 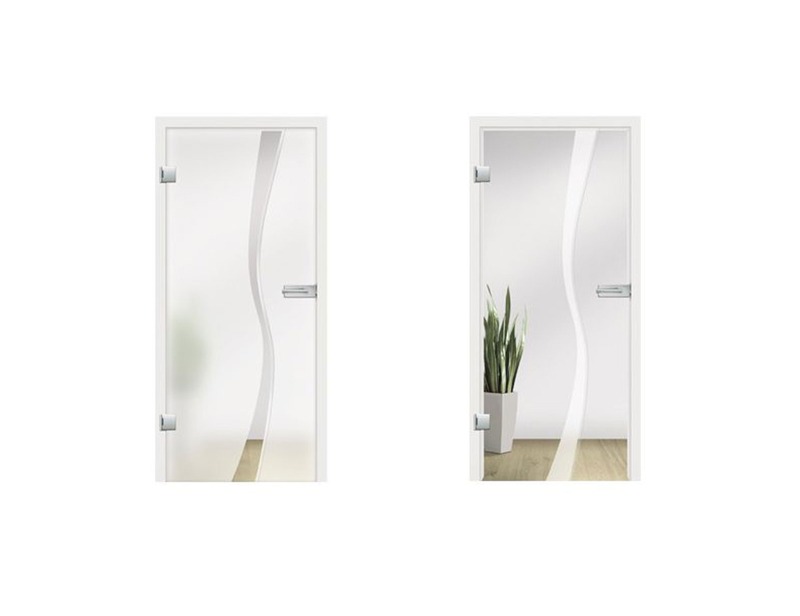 The Wave type 1 frosted glass internal doors make a statement for passion and attention to detail, is produced from the highest quality materials and can be manufactured in sizes of up to (w) 1600mm and (h) 2500mm.